the total acceptance of LIFE without fear. Commentary by Rafael Zambrana January 9, 2015. Scientists at Rensselaer Polytechnic Institute have found that when just 10 percent of the population holds an unshakable belief, their belief will always be adopted by the majority of the society. The scientists, who are members of the Social Cognitive Networks Academic Research Center (SCNARC) at Rensselaer, used computational and analytical methods to discover the tipping point where a minority belief becomes the majority opinion. The finding has implications for the study and influence of societal interactions ranging from the spread of innovations to the movement of political ideals. What this means is we only need 10% of the population to understand how these few individuals are robbing us and enslaving us to transform the narrative society believes in, to stop them. Total acceptance of DEATH brings a total acceptance of LIFE without fear. This film deals with the process of letting go of our inner urges of wants and desires, which invariably offers us the plenitude of an existence without fear our soul yearns to achieve all along our lives. In my view we are offered one of the most direct explanations to what we are experiencing today, on the verge of collapse economically, spiritually, socially and personally. It is one of the best films I've watched offering practical approaches to the very dire life situation we're living now. A nuclear WW3 may be triggered at any moment in Syria. It is within each of us where the battles are raging, to make the transition to the new paradigm our spirit is hoping for tranquility, peace, love and contentment. During my teens the books of Herman Hesse, like Steppenwolf, Demian, Siddhartha, and his famous Nobel Prize in Literature "The Glass Bead Game" were widely read by me and my peers, where often the main character was confronted with an impossible situation when he would die or loose everything, only to gain it all after he let go, accepting his dire faith. Today we're at a similar intersection on the road of our lives, where everything we have as a society and personally may be lost, but our acknowledgement and acceptance will decide if we take the next step in our spiritual evolution, or get stuck in the past clinging to our material social ways full of competition, envies and immature childish possessions and social status. Since the dawn of humanity, countless cultures around the world have held prophecies and tales foretelling a time when an epic final battle between the forces of light and dark, would destroy the earth; and where the victorious forces would be given the power to become the rulers over a new reality. And though to many, this battle may seem like the legendary stuff of stories, there are those who believe, that the final battle is upon us, and that Armageddon has indeed begun. 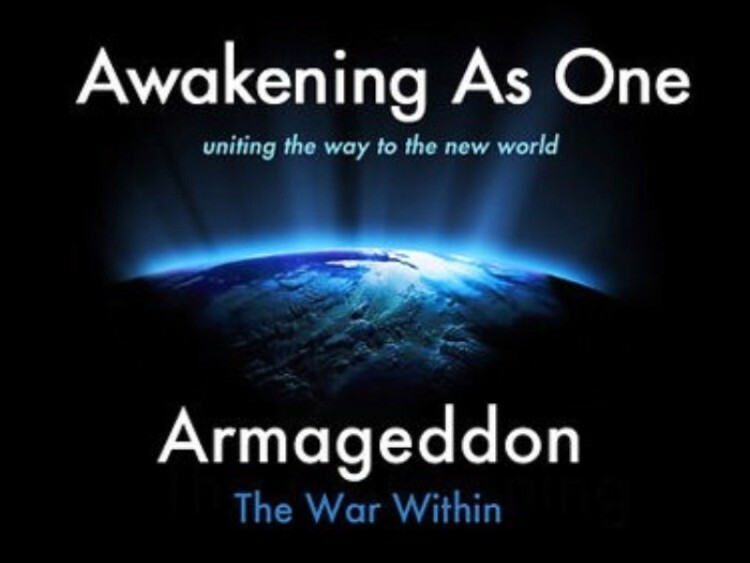 However, it is essential here to understand that contrary to popular belief, Armageddon is not a battle that can be fought and won on the battlefields of Man, but rather, the true Armageddon, is a war that can only be won... within.